The Global 6000 is a wide body aircraft manufactured by the Canadian based Embraer, one of the leading manufactures in the private jet world. This private jet offers a exceptional cabin experience which delivers maximum comfort to our private jet charter customers. It also offers its passengers one of the fastest in-flight internet connection in the world through ka-band technology. Anything is possible with the Global 6000’s advanced cabin management system which allows its passengers to wirelessly watch movies, mirror live streaming or display documents onto its large TV monitors placed around the cabin. 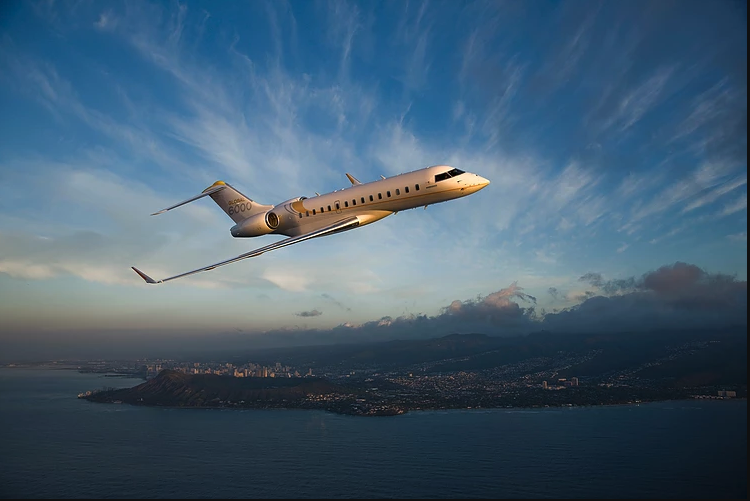 With a spacious cabin for up to 14 passengers, the Global 6000 offers a bright and extremely quiet cabin ensuring passengers travel in superior comfort on any length of flight. With the ability to turn the rear of the aircraft into a stateroom with a full berthing divan & spacious wardrobe providing you unrivalled comfort. This aircraft combines all aspects of performance with its mix of range, speed and comfort. enabling it to fly 11,100KM which is the equivalent of flying from London Farnborough Airport to Tokyo Narita or Paris Le Bourget to Los Angeles.